The CEO of Seattle-based Swedish Health Services has resigned after facing allegations that neurosurgeons were asked to increase patient volume and perform unnecessary and invasive surgeries. Anthony Armada resigned from his post Tuesday after a Seattle Times report accused Swedish of giving physicians incentives to increase patient volume and to use complicated techniques during surgery that were sometimes unnecessary. The story said the result is overloaded medical staff. The newspaper used state data to show the system has seen a rise in blood clots, collapsed lungs and serious surgical complications. The system's interim CEO will be Dr. R. Guy Hudson, a 10-year Swedish veteran and chief of physician services for the system's Western Washington region. 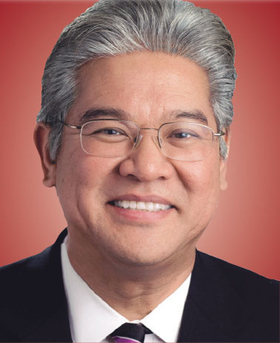 Armada, who has held several positions at Kaiser Permanente, Henry Ford Health System and Advocate Health Care, told the system's board of trustees that he believed “stepping down is in the best interest of the organization,” according to a news release. “We believe this is an important time to return to physician leadership,” Swedish board Chairwoman Teresa Bigelow said. “Dr. Hudson is a well-respected leader in the medical community and is dedicated to our mission. His immediate next steps will be to strengthen relationships with our medical staff, as well as our caregivers and the community,” Bigelow said. In the letter, he acknowledges that the system “failed” Talia Goldenberg, a patient profiled by the Seattle Times. She died from complications following a surgery on her spine. Her parents say the complications were the result of negligence on the part of the hospital. Her doctor was subsequently promoted to chairman of neurosurgery. Goldenberg's surgeon is accused of booking “concurrent surgeries,” a legal but controversial practice in which surgeons perform multiple operations at the same time, in part by allowing surgical fellows to handle portions of the surgeries. Concurrent surgeries are strictly regulated and the Senate Finance Committee issued a report late last year calling for them to be banned. Aramada was named one of Modern Healthcare's Top 25 Minority Executives in Healthcare in 2014.